The University of Minnesota Center for Animal Health and Food Safety (CAHFS) has long-standing partnerships with the nation’s leading pork organizations. Each organization plays a crucial role in ensuring global swine health and safety, and each relies on CAHFS to execute research and analysis that enables these organizations to stay ahead of the biggest threats facing the industry today. Partnering with these three swine producer organizations is crucial in applying CAHFS research to the real world. These organizations make sure the most cutting-edge information reaches people who can apply it to the industry; they're the ones who can change policy, disseminate the latest outbreak news, and implement technology that makes the swine industry safer. The National Pork Board (NPB) based in Clive, Iowa, is the industry leader in strategic, long-term, projects and programs. When CAHFS Director Andres Perez, DVM, PhD, Endowed Chair of Global Animal Health and Food Safety and professor in the Department of Veterinary Population Medicine, approached NPB shortly after China’s recent African Swine Fever (ASF) outbreak with a research proposal, the organization understood the impact the partnership would have. With funding from NPB and the Swine Health Information Center (SHIC), Perez and his team quantified the ASF risk of meat products being brought into the U.S., focusing on pork products from China. The data will be presented to policy makers who have the power to modify the inspection process and drastically reduce the chance that ASF enters the U.S. through meat products brought in by visitors. When the Swine Health Information Center (SHIC) in Ames, Iowa, was created in 2015, one of the first things it did was partner with universities. With SHIC's help, the U of M was able to expand the Morrison Swine Health Monitoring Project, which aims to build the capacity of industry to respond quickly and effectively to swine disease. "Partnering with universities is crucial in improving swine health throughout the country," says Paul Sundberg, DVM, PhD, Diplomate ACVPM, executive director of SHIC. SHIC puts out a monthly report on national swine disease status generated from analytics coming from the Veterinary Diagnostic Lab at the U of M and three other universities. SHIC has also partnered with Perez in a joint effort to track swine disease globally. “Dr. Perez and his team are central to this. He’s put together a team that can monitor multiple different sources of international disease information and then synthesize it into a report to tell us what swine diseases are circulating around the world, where they are, and the status of circulation,” says Sundberg. 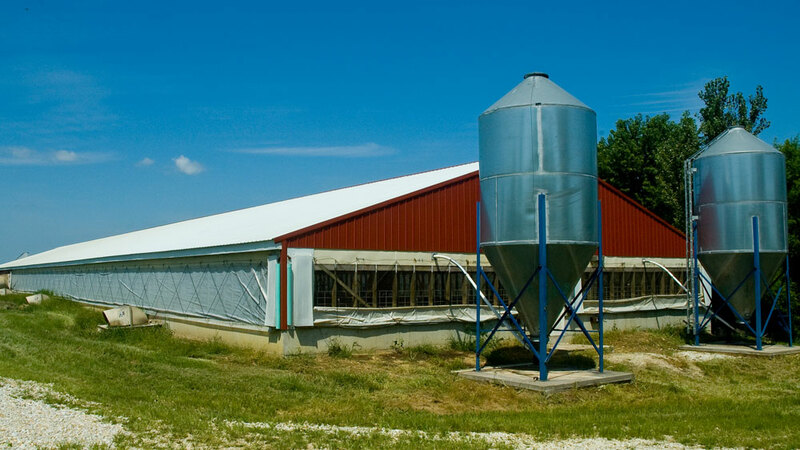 The National Pork Producers Council (NPPC) in Urbandale, Iowa, collaborates with governmental organizations and CAHFS to generate global solutions that protect the pork industry from significant losses during a swine disease outbreak. One of these solutions is compartmentalizing. When a country detects an ASF outbreak, it must report the disease to an international database that alerts foreign traders to the disease. An outbreak financially hurts every pork producer, but in a compartmentalized system — that is, a system in which farms all use a certain harvest facility to meet standards that allow them to continue international trade without risk — the impact would greatly diminish. The council’s collaboration with CAHFS focuses on risk analysis within this system. “The CAHFS set-up, with residents already on hand, makes the process incredibly nimble. We have both faculty and residents as a resource, so they can pick up a project quickly, concentrate on it, and complete it in a timely matter,” says Liz Wagstrom, DVM, chief veterinarian with NPPC. CAHFS News is a compilation of current topics and news updates in animal health, food safety, and veterinary public health.